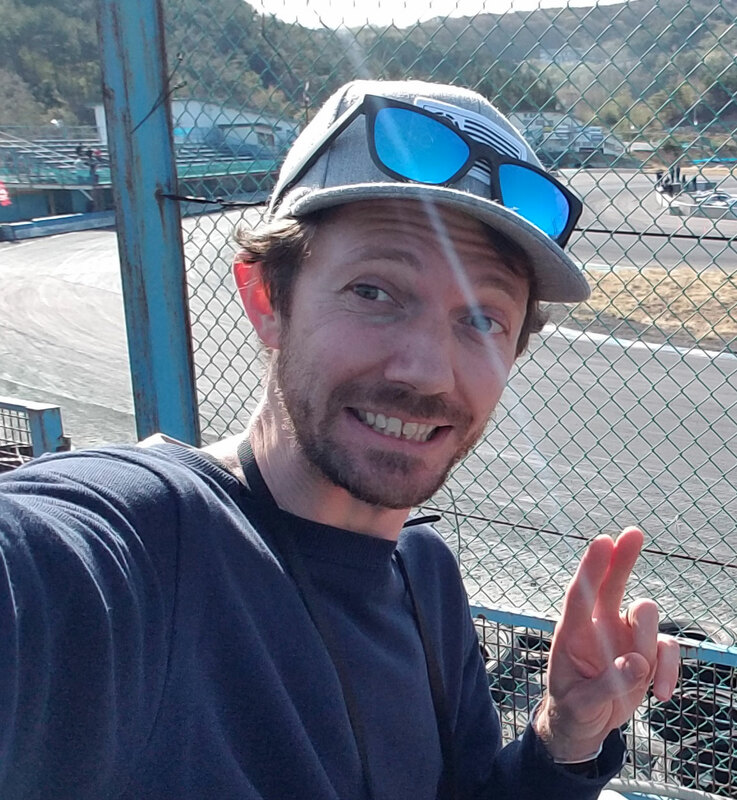 I went and checked out the qualifying and practice day for D1 GP today for just a few hours. They have changed the entry line over the bump at the last corner of south course from the tight little “s” bend and made it more or less straight (the “matsuri missile death line” as us locals like to call it) for faster entries and wilder drifting… and the difference is like night and day! To describe it in 2 words – mental fast! For instance, Daigo Saito had both front wheels off the ground going straight over the jump down into the first corner. One time ending up crashing into the tires at the bottom. This D1 round at Ebisu will definitely be very different to what we’re used to seeing. Drift samurai here was doing some big launches from cutting the chicane short. This 20B RX7 was super loud! We were all covering our ears when it went past. The coolest guy in D1 Naoto Suenaga here in his Evo 9 Team Orange car. Good solid runs all day from Suenaga. Sorry about the crap quality of the pics. They were taken with my cell phone. I’ll make sure to take a proper camera tomorrow for the real competition! It’s shaping up to be a very on-the-egde-of-your-seat weekend!